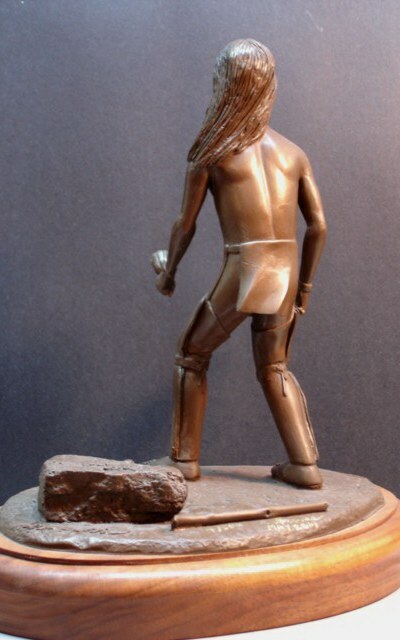 Sculptor Randy Groves has recreated the False Face Dancer as the first in a series of sculptures celebrating the history of Native American peoples. The most famous medicine society of the Iroquois was the False Face Society, whose masks were sometimes carved from a growing basswood tree. They represented disembodied beings, and when worn by society members, the sick were healed by blowing on them through the mouths of the masks. The Dancer is depicted in the midst of a ceremonial dance in which the frightening appearance of the mask, ritual chanting, and the loud shaking of his turtle shell and gourd rattles was designed to drive away the evil spirits that caused illness. 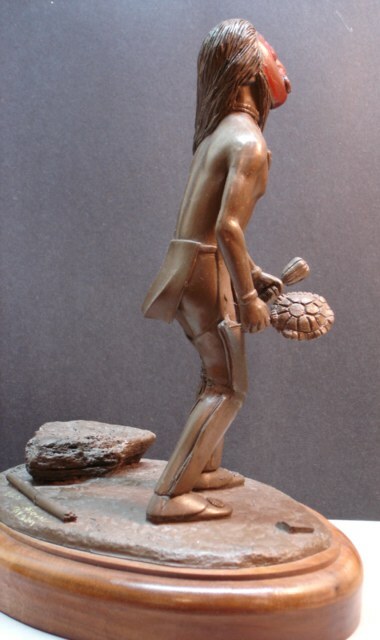 The False Face Dancer, cold cast in Bronze, has been mounted on a solid Walnut base. Each sculpture has been signed and numbered by the artist. 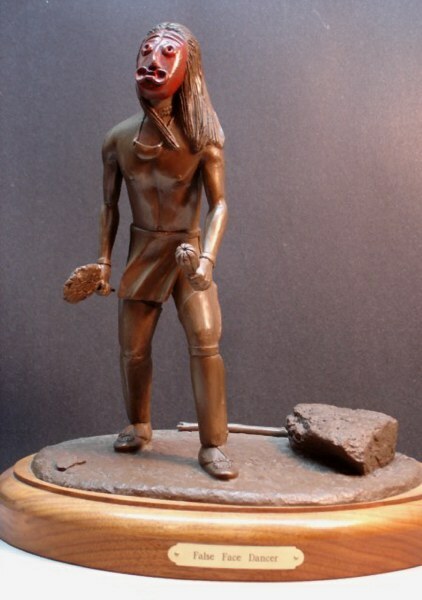 The Iroquois False Face Dancer is 13" high, and 12" wide.